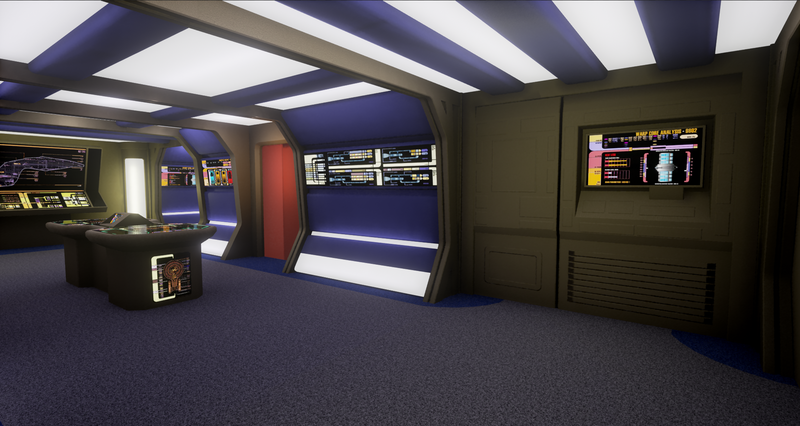 This is the engineering part of the Star Trek spaceship Enterprise D. It is a modular game level created in Unreal Engine 4. The assets are modeled in 3ds Max and textured in Photoshop. Many of the textures used are tileable to raise quality while keeping performance up. 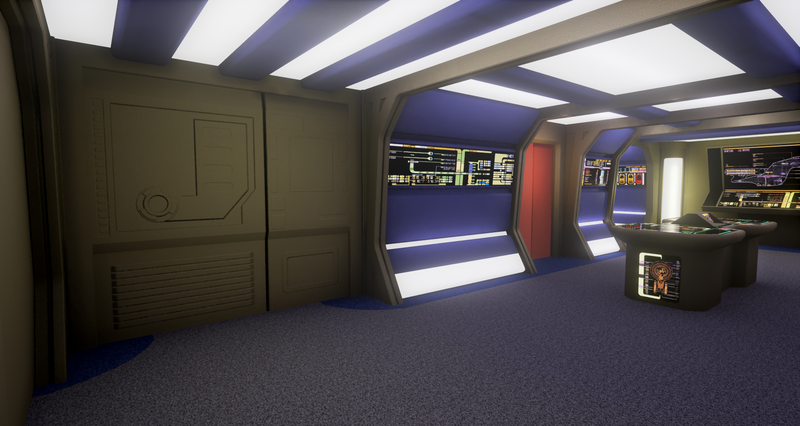 Normal maps are used to add detail and LODs are implemented on some parts (like the pillars).